Can anyone please help me show that option, or explain to me why I'm missing it in the first place? I've seen one (and only one) comment somewhere else on this site about some custom CSS, but I'm unaware of any custom CSS we have on our farm. Any insight offered will be extremely appreciated. Not the answer you're looking for? Browse other questions tagged content-query-web-part or ask your own question. 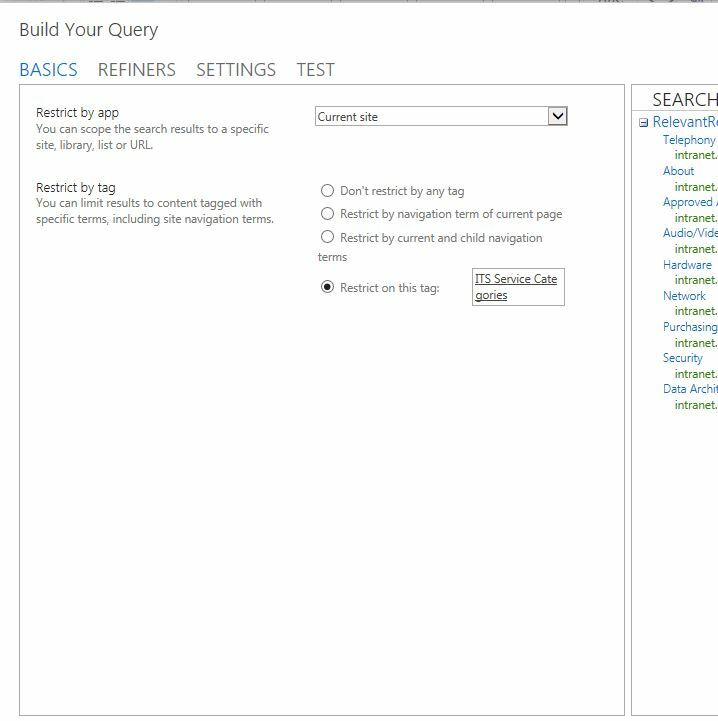 Use Managed metadata with the Content Query Web Part?